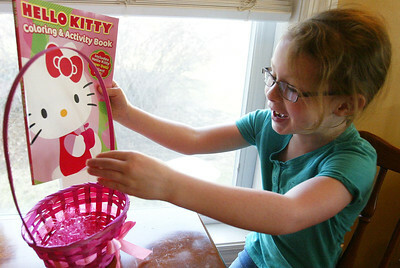 H. Rick Bamman - hbamman@shawmedia.com Six-year-old Ali VanDermey decided recently that she wanted to make Easter baskets for ill children at Rockford Memorial Hospital. 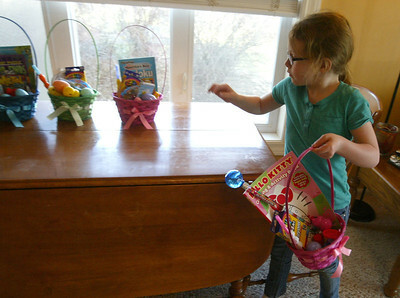 With her own money she made 15 baskets that she will deliver to Rockford on Friday. 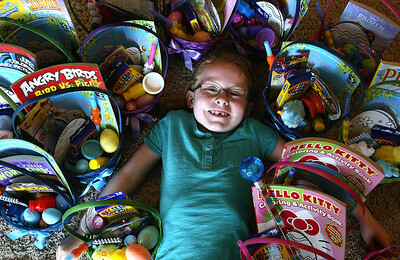 H. Rick Bamman - hbamman@shawmedia.com Six-year-old Ali VanDermey packs one of 15 Easter baskets she will deliver Friday to children at Rockford Memorial Hospital. 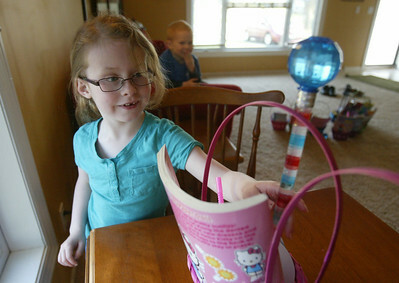 Six-year-old Ali VanDermey packs one of 15 Easter baskets she will deliver Friday to children at Rockford Memorial Hospital.